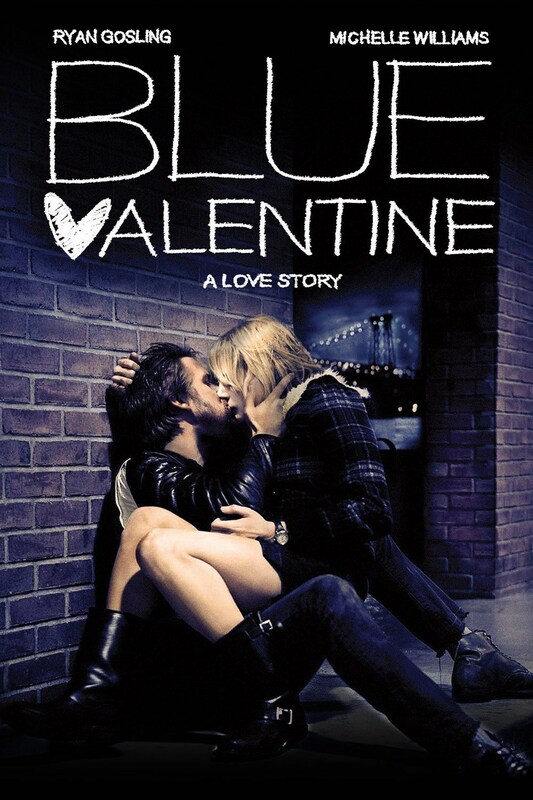 "Blue Valentine" is yet another addition to Ryan Gosling's growing list of good movies. I mean, wow. The Notebook, All Good Things, Crazy Stupid Love, and this one--they're all my favorite movies! Can't wait to watch more of his movies. 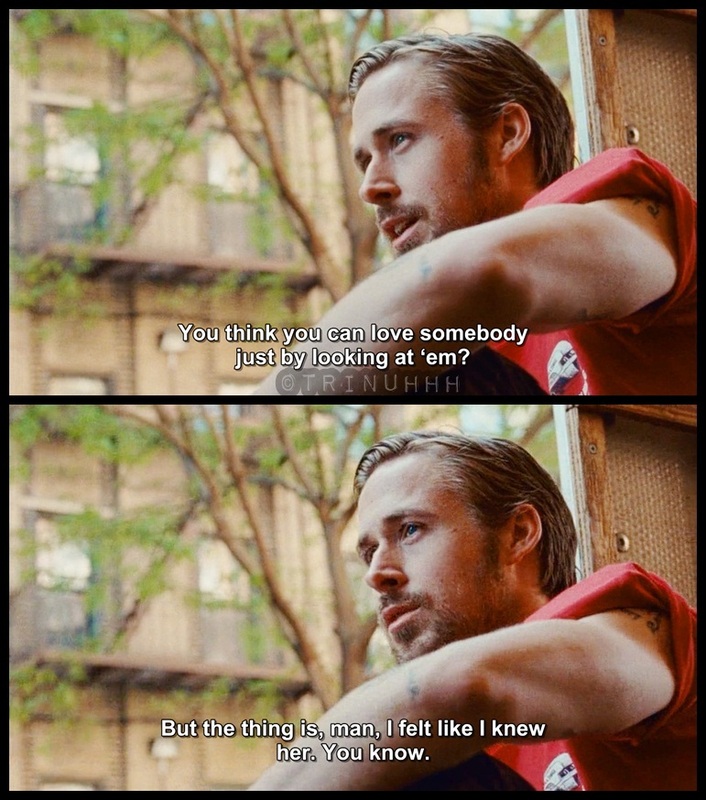 The more I watch a Ryan Gosling movie, the more I like him. Haha. Srsly. He is one good actor. For me, he is really good at portraying matured/old man (30 to 40 years old) roles. Just, wow. This movie shows how Dean and Cindy's marriage change--from the moment they met until the moment Cindy says to Dean that she wants a divorce. I feel so sad for Dean because he loves Cindy so much that he married Cindy even though she was pregnant with her ex-boyfriend. Dean was willing enough to call the baby his own. That's how much he loves Cindy. But then again, Cindy has high hopes for the future and it was incompatible to that of Dean's. 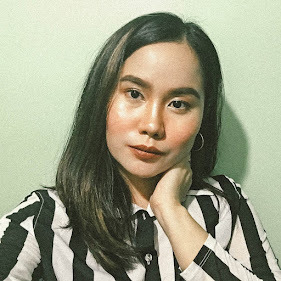 Cindy is a nurse. Dean only wanted a simple life with his family--he works as a painter for houses which gives him enough time for him to drink liquor early in the morning which he calls a "luxury". He earns enough, he has enough time to still be a father to Cindy's daughter to her ex-boyfriend, Frankie. The last scene shows Dean walking away from Cindy and Frankie chasing his "Daddy", but Dean tells Frankie to stay with her mom. "You see, I don't know... 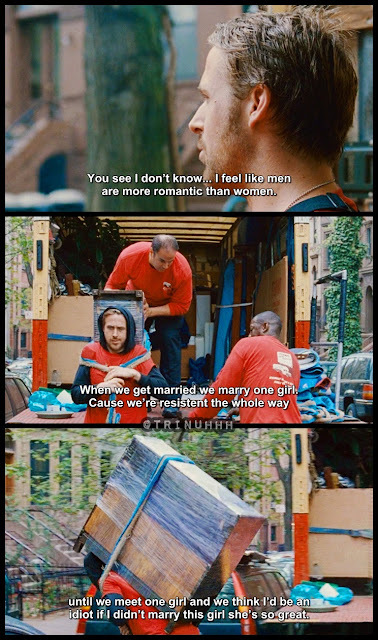 I feel like men are more romantic than women. When we get married, we marry one girl. Cause we're resistant the whole way until we meet one girl and we think I'd be an idiot if I didn't marry this girl, she's so great." 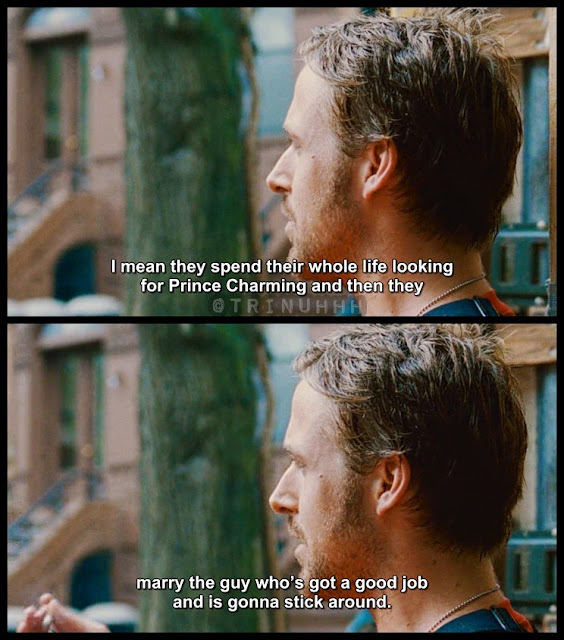 "I mean they spend their whole life looking for Prince Charming and then they marry the guy who's got a good job and is gonna stick around." "Let's go get drunk and make love." 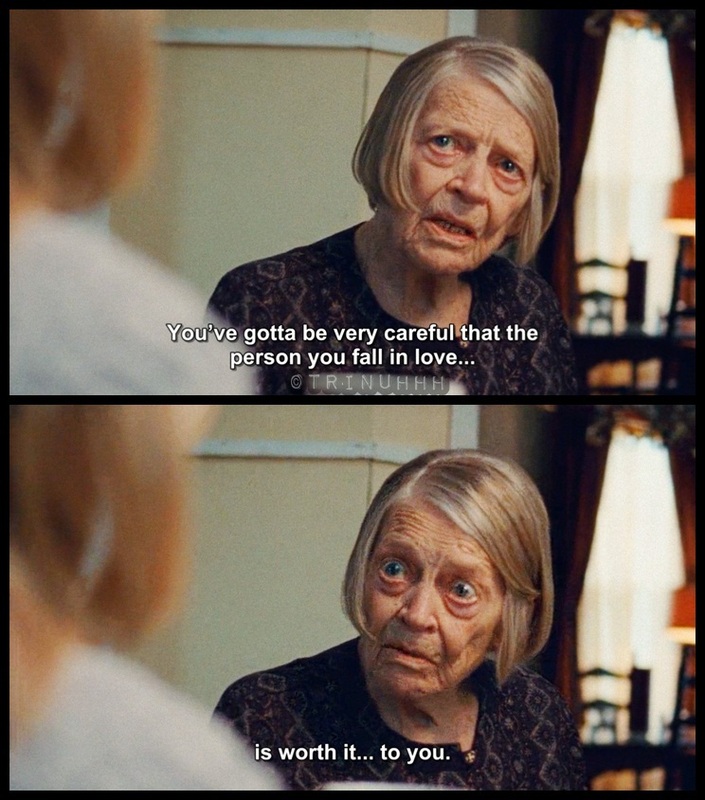 "You've gotta be very careful that the person you fall in love is worth it... to you." 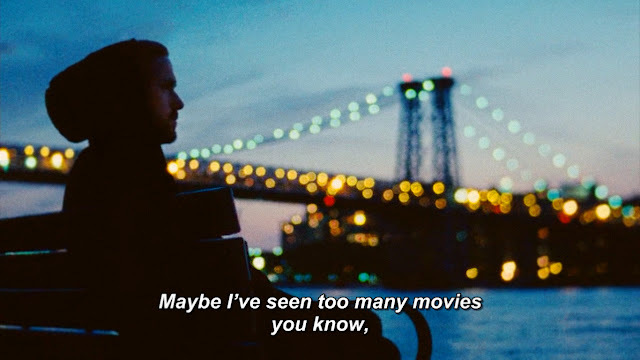 "Maybe I've seen too many movies you know..."
"You think you can love somebody just by looking at 'em? But the thing is, man, I felt like I knew her. You know." 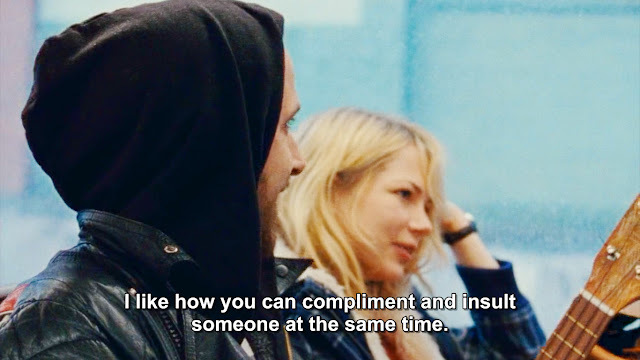 "I like how you can compliment and insult someone at the same time." 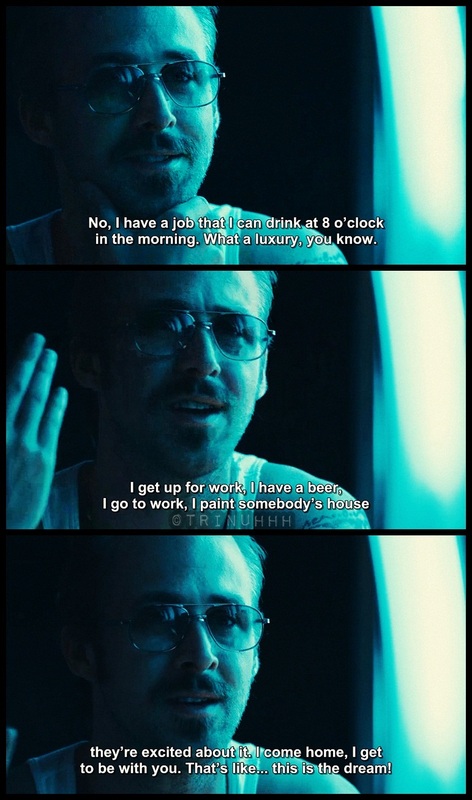 "No, I have a job that I can drink at 8 o'clock in the morning. What a luxury, you know. I get up for work, I have a beer, I go to work, I paint somebody's house they're excited about it. I come home, I get to be with you. That's like... this is the dream!" "You know, we rarely sit down and have an adult conversation. Because every time we do, you take what I say and you turn it around into something that I didn't mean. You just twist it." "You got me feeling sick you know? 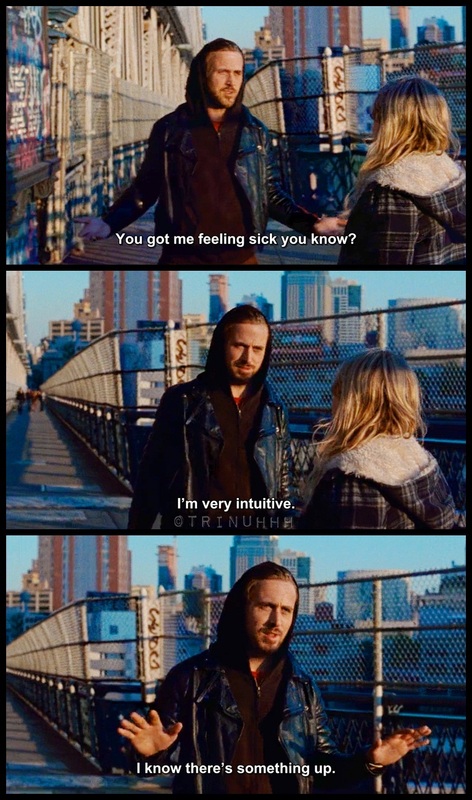 I'm very intuitive. I know there's something up."